HomeRiflesBolt Action RiflesVintage Saturday: You Sent Us What? Ha ha, very funny. Now where are our REAL rifles? 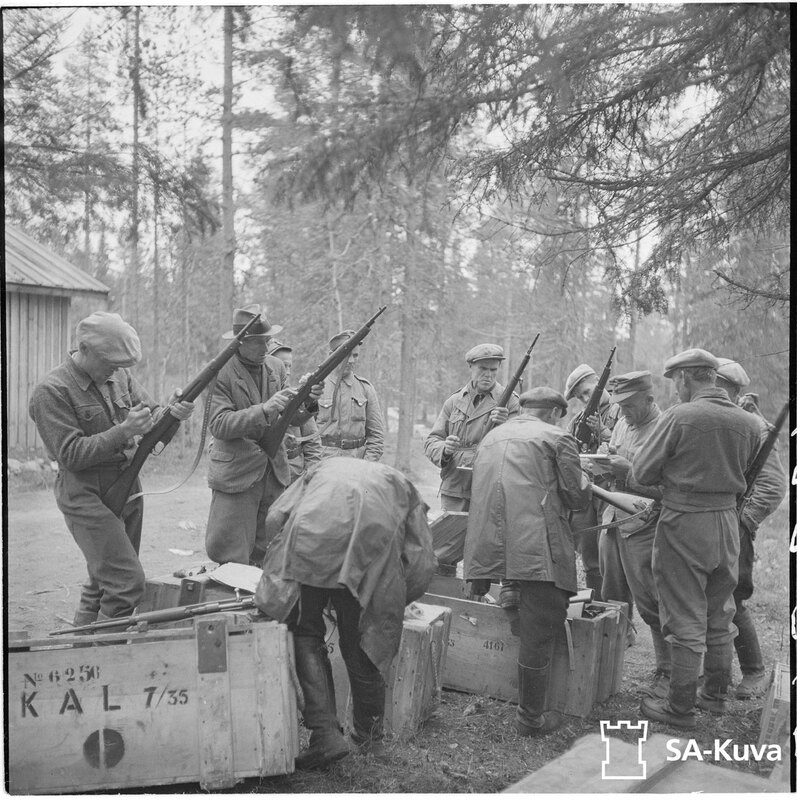 Italy sent a bunch of surplus 7.35mm Carcano carbines to Finland as military aid against the USSR – these Finns are pulling them right out of the shipping crates (note the “KAL 7/35” on the crate lid). The Finns took pride in their marksmanship, and can’t have been particularly impressed with the Carcanos’ short barrels and fixed sights. The middle fellow facing the camera looks particularly grouchy about the whole affair. Any rifle can be effective in the right hands. I still find boxes of surplus 7.35 around. Rifles seem much scarcer in Canada. I agree Paul…combat arms needn’t be tack-drivers, they simply need to work. I joke, but still, fault was on inconsistent Italian loads, not the rifle itself. There is a pretty comprehensive evaluation of the 7.35mm Carcano, complete with some good close-up photographs, at bobshellsblog.blogspot.com/2008/09/735-carcano-rifle.html. Indications are that the 7.35mm Carcano was generally a good weapon that was let down mainly by its crude, non-adjustable sights, and that the Finns still made good use of their Carcanos during the Winter War. The ones in the photograph above appear to be the Model 38 short rifle version with 21.1″ barrel and detachable bayonet. The grouchy fellow in the middle you are referring to looks a bit like Nick Nolte in deeply critical thought :). Sharp eye, Earl! Yes, that guy does looks quite a bit like Nick Nolte. His expression is priceless!… And thanks for the link to that gentleman’s blog. Very interesting write-up on the later Carcanos and their 7.35mm proprietary round. If there is a single thing I never managed to fully undersand about the Model 38 Carcanos that thing are the crude, fixed sights. Why? What was the rationale behind such strange decision? Just to save manufacturing costs? Any ideas? That’s a very perceptive query. I honestly don’t know enough about the Carcano’s in-depth design history to venture a guess at the reason for the fixed sights. It could be due to something as practical as a simple cost-cutting measure as you mentioned, or something as esoteric as the perception that the average foot soldier wasn’t smart enough to really understand the advantages of a fully-adjustable sight system, but I’m only second-guessing it at this point. Stranger and equally ridiculous reasoning on the part of firearms designers and the military top brass has been known to have had a direct impact on a gun’s design in more than one case in recent history, as we all know. Perhaps Turk, Martin or one of the other contributors who has more familiarity with this rifle will be able to provide a satisfactory and rational explanation? Yes, Fucile Corto M38. Thanks for posting that link, Earl. Very informative. You’re welcome, Paul — I’m looking forward to reading more comments from you and the other guys! Edited by Ian: I’m generally happy to let the comments discussion wander wherever folk want to take it, but I don’t see any reason we need to get into the Kennedy assassination. It has been written that the 7.35mm Carcano was used as a rear guard rifle to free up Moisins for front line troops. They were more of a show of unity with the Axis powers than as serious military aid. The detachable bayonet could fold back like a big jack knife.and was intended to kept attached to the rifle. This needless complication was dropped and a conventional bayonet issued. The Carcano has been given an unfair reputation.They are very well made and usually are well regulated as to the sights. Probably the only users of the 7.35 Carcano was Finland. The guys look like home guard or civilians. Some of the Carcanos were issued to civilians on the eastern border. Also, some Finnish air force and artillery units were issued Carcanos. HEY!! I’ve been collecting Carcanos my entire life, and IMHO they don’t get anywhere near the respect they deserve!! My 7.35 (White Death) M-38 is as accurate as any other bolt action carbine/short rifle in my collection !!! I’ve never owned one…(and I’ve owned AT LEAST one of every mark and type in every caliber at one point) That wasn’t well fitted and finished. (Yeah, I know, Only dropped once ha ha) and 6.5×52 is a SWEET round to shoot, with performance identical to 6.5×54 MS. My Old man took an awful lot of Deer with both a sporterized Carcano, and a sporterized type 38 Arisaka. Both in various flavors of 6.5. The REAL problem with Italian firearms isn’t the arms, it’s the execrable Italian ammo with is stupid 3 point crimp and it INSANELY hydrophylic ammo and primers….Hey Ian, here’s a forgotten Weapon for you, do the Japanese Type 1 naval rifle!! It’s a Carcano in an Arisaka stock in 6.5×50 Japanese!!! The most accurate old military rifle I’ve ever shoot was a 6.5 Carcano carbine. When working up reloads with 160 grain bullets it didn’t matter what powder or amount was used. The 2 of us test couldn’t miss the bullseye or decide what was the best load. In the end decided to load them for top vel. I will definitely be doing a Type I before too much longer; I won one in the RIA auction last weekend. As a matter of fact – Mussolini did not give the Carcanos to Finland – they were sold with horrible price. As far as I know they had plans to change the caliber of their rifles from 6,5 to 7,35 but realised that they did not have time to do this before WW II. Like all italian weapons-contracts the price of sold material was skyhigh. And they didn’t arrive until after the Winter War was over. Correct me if I’m wrong, but as far as I can tell, the 7.35mm M38 Carcano short rifles were issued to security and communications units during the 1939-1940 Winter War. Some front-line infantry units also got the Carcanos. The problem with these rifles was not their overall quality, which was quite good, but some minor yet significant points that did not suit them as well to Finnish requirements as they could have been. The fixed rear sight ( set at 300m ) made it more difficult to use at the varying ranges encountered by Finnish troops ; the 7.35mm ammunition, being of a unique caliber, presented logistical and re-supply problems ; and, finally, the original ammunition itself was not particularly accurate nor reliable ( a point that Turk has already made in no uncertain terms ). In recognition of these problems, the Carcanos were re-issued to assorted second-line units, AA and coastal defence troops, and to the Finnish Navy during the Continuation War, the front-line troops having long since been re-equipped with more suitable weaponry. I do agree that, in general, the Carcano is an excellent rifle in its own right. This is borne out by the comprehensive evaluation by Bob Shell at bobshellsblog.blogspot.com/2008/09/735-carcano-rifle-html, where the author puts the emphasis on selecting and using the right ammunition to complete an otherwise fine gun. The Carcanos didn’t arrive until April 1940, after the Winter War was over. The WW2 history of Finland is almost completely digitized and available. Of course not all of it has been translated. Martin, thanks for the link. 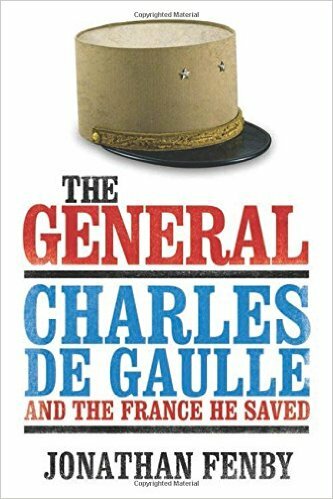 It was most interesting and may form the basis of a correction to yet another generally-accepted factual error in modern history. Good call! SKy was the Civil Guard. They really weren’t homeguard(as it is normally defined). For anyone whose appetite may have been whetted by the Carcano discussion, there is a good collection of assorted Carcano carbines and rifles for sale at http://www.simpsonltd.com. Just type “Carcano” in the Search Box on the home page and the current list of offerings will be pulled up. One thing I like about Simpson Ltd. is that they will tell you up front the exact condition of the weapon you are looking at and let you decide for yourself. Simpson is also a great place to shop on-line for a very wide variety of antique and collectible firearms of all kinds, but you have to check the site frequently as their inventory changes with time. Hope this proves useful to at least some of you :). In that case, one could hardly blame either one of you. I had a similar experience when I was in the service with the original Colt-manufactured M-16 and M-4 magazines. Peculiar size, but at quick glance it seems to have everything going for it. Definitely an upgrade from 6.5mm of WWI (which my granddads had lot to squabble with). Its also visibly lighter shot than 8mil Mauser; must have been easy to shoot. I like it. It’s interesting that there seems to be a wide range of opinions and preferences concerning the 6.5mm versus the 7.35mm rounds. Bob Shell, as a respected reloader and ammunition expert, seems to think that the 6.5mm x 52 cartridge is more efficient and effective with a better sectional density, and he does support his case with some hard facts, eg., citing the original 6.5mm 162-grain bullet as having a muzzle velocity of 2200-2300 ft./sec. versus the 7.35mm 128-grain bullet at 2400 ft./sec. However, he also states that the less-common 7.35mm cartridge can be made to work very well against medium-sized game, eg., deer, smaller bears and wild boar, at medium ranges, and that it is more effective than the well-known 30-30 cartridge and nearly as good as the .300 Savage, especially at ranges over 100 yards ( 91 meters ). There is also a new book on Italy small arms coming out in November, which I’m hoping to get a review copy of. My Carcano-collecting buddy uses ‘Il Novantuno’ as main reference. This picture comes from a collection of Finnish Army photographers’ archives (SA kuva) that came public a few years ago. Why are Carcanos are given out to civilians? This happened during WW II in eastern Karelia where Soviet patrols had raided many border villages and killed all inhabitants. All younger men were fighting the war, all there were left were old men, women and children. The was no “front” in the Northeast, there were only some Army bases and patrols on the few roads. The wide forests were “free for all”. Finnish patrols were sent out to White Sea coast and Murmansk railroad, Soviet patrols attacked Army transports and civilian villages. After the raids, all rifles Army had left were the unpopular Carcanos, these were distributed to all men left in the villages. The 7.35 Carcano was called “Terni rifle”, the soldiers didn’t like the odd magazine and the fixed sights. 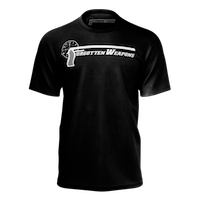 In battles, most rifles lost were Ternis: when a Finnish soldier saw a Mosin Nagant rifle lying around, Finnish or Soviet, he picked it up and threw his Terni away.